They came, they saw, they poured the wine. Cooper's Hawk swoops in to bring together the complete winery and dining experience in one Town and Country perch. 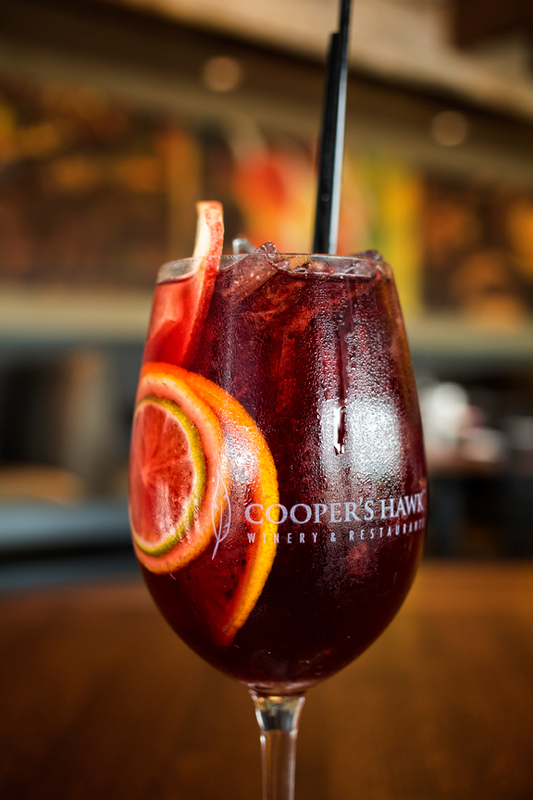 Conceived by Illinois wine enthusiasts Tim and Dana McEnery, Cooper’s Hawk marries the full-fledged winery – tastings and all – with a full-service restaurant. 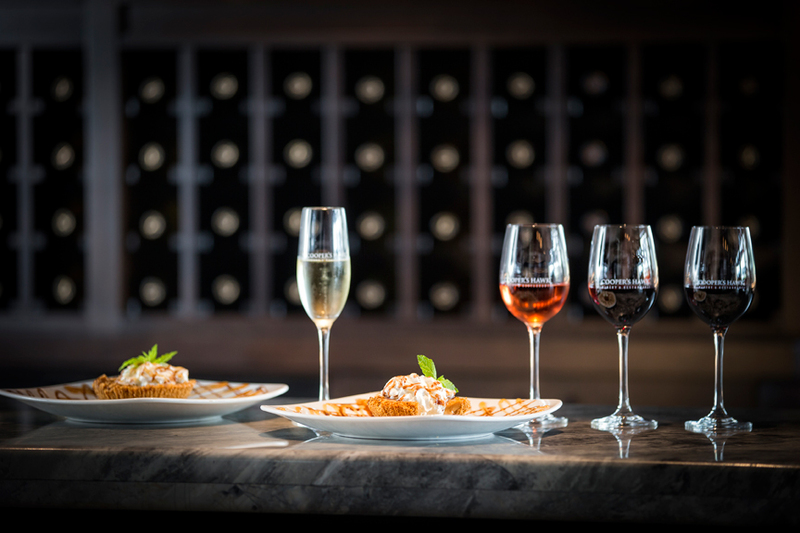 From the original location opened in 2005 in Orland Park, Ill., the concept has expanded to 15 winery/restaurants throughout the Midwest, including one in Town and Country, ideally situated equidistant from the Missouri wine country hubs of Hermann and Ste. Genevieve. That eclecticism is a good fit for Longfield, a St. Louis native weaned on his Italian grandfather’s Mediterranean tastes and mother’s frequent market stops on The Hill. He studied both culinary arts and business at Johnson & Wales University in South Carolina, and then opened Fisherman’s Quarters with a classmate fresh out of school. After later opening several restaurants for Nordstrom in L.A., he returned to The Lou, first with The Cheesecake Factory and then at Bristol Seafood Grill (he opened the Winghaven location), before landing at Cooper’s Hawk last fall. 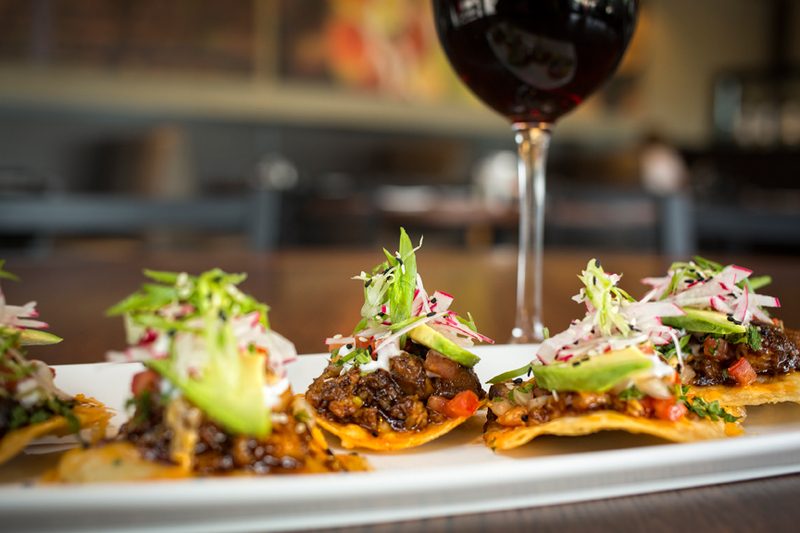 Asian Pork Belly Tostadas: Braised Midwest pork belly, glazed in Asian chile barbecue sauce and served on a housemade tostada. Longfield tops the sweet-savory meat with spicy sriracha pico de gallo, radish, avocado, scallions and cilantro, and a dollop of cool sour cream. 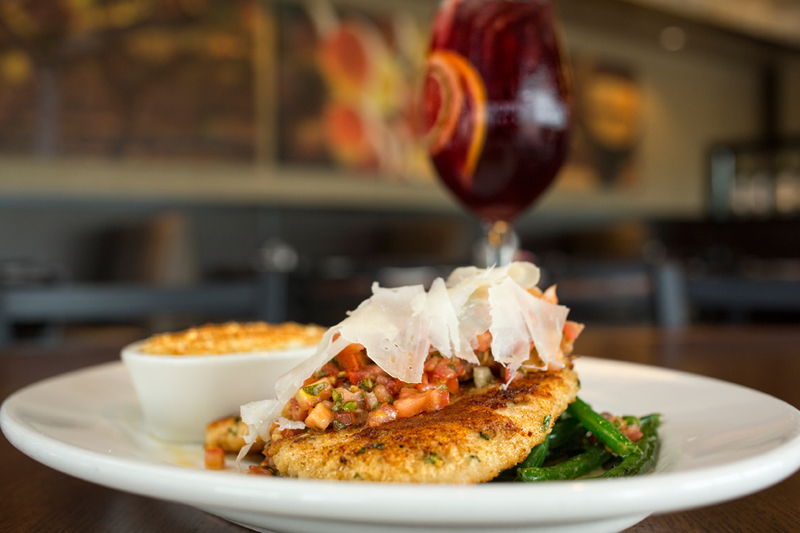 Dana’s Parmesan Crusted Chicken: The breading on this chicken gets its crunch from a mix of Parmesan and panko. It’s seared and served with a drizzle of beurre blanc (lemon-butter sauce) and a shredded potato-and-white-cheddar casserole baked with a cheddar-panko crust. 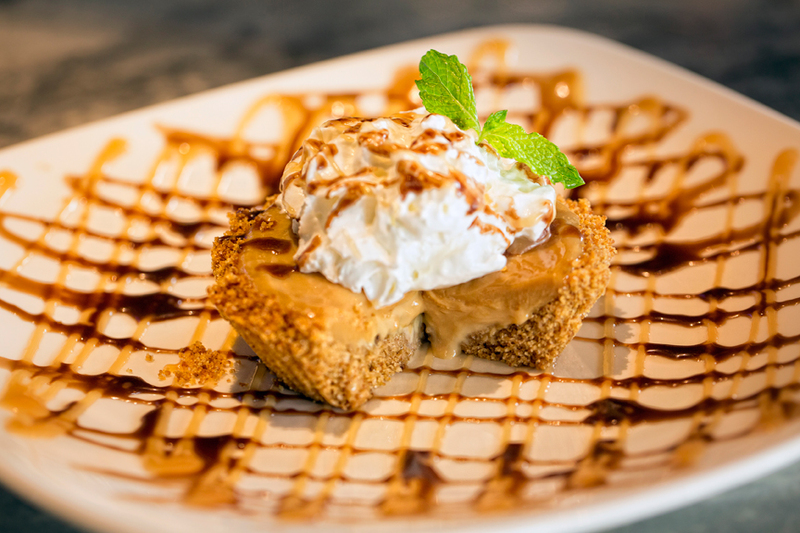 Banoffee Pie: A homemade graham cracker crust is layered with bananas and a toffee filling made from caramelized condensed milk, then finished with fresh whipped cream.